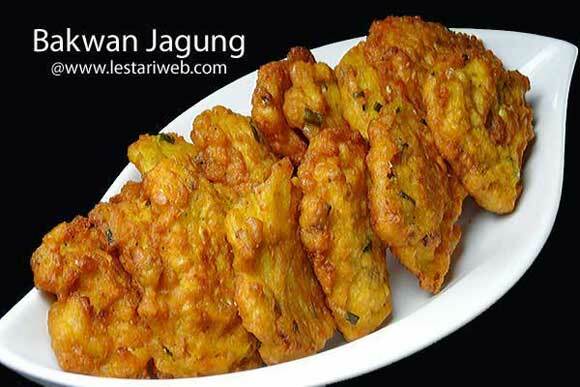 Whether to serve as a side dish or appetizer...this small delicious fritter is something hard to resist ;-) Tipp: There is no top secret of making tasty & yummy Indonesian Corn Fritters, not require special trick nor a MSG!! 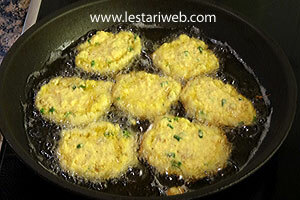 Only one thing: Just add fried shallots to the batter. 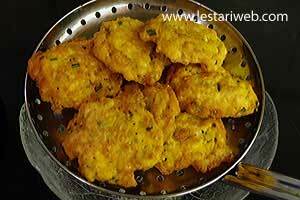 I ensure you, the fritters will taste simply delicious!! 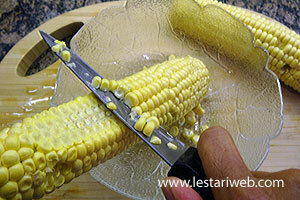 Set the cob on end and run your knife down the sides to cut off the kernels. 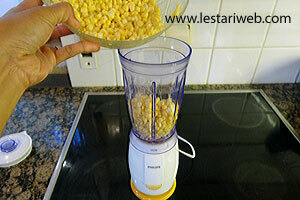 Pound or grind the corn just roughly. Transfer into the bowl. Put aside. 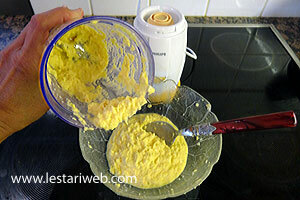 Pound/grind the spice ingredients into a smooth paste. 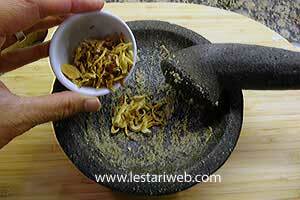 Add the fried shallots/onions, pound it just roughly and stir to mix. 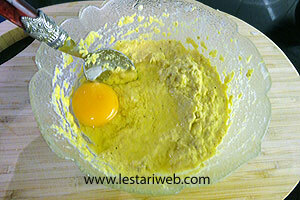 Transfer the paste to the bowl, add the egg and stir to mix. 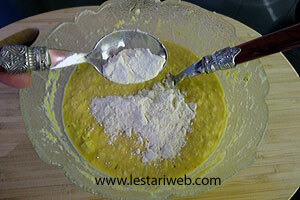 Add the flour, mix all once again. The batter may look a bit thin, just ignore it and don't add more flour to obtain the optimum taste. 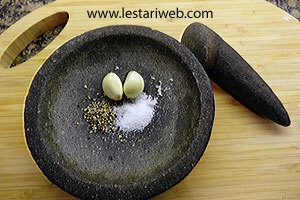 Adjust the seasoning, add the salt in necessary. 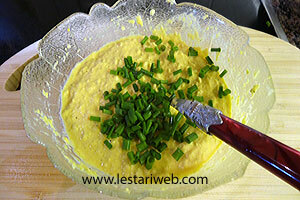 Add the chopped chives and stir to mix. Heat about 150 ml oil over medium heat. 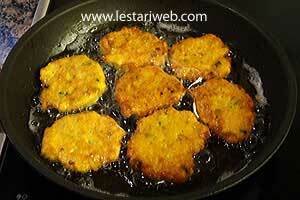 Spoon the fritter batter and drop it into the oil. 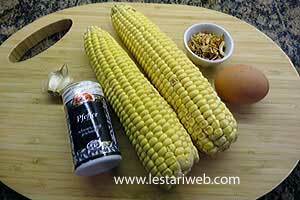 Fry until golden brown. ((Make sure to leave a gap while droping to avoid the fritters sticking to each other). Set aside to drain or drain on paper towel.